Win bigger than ever before at Slotpark with Lady Jester™! Lady Jester™ is a jackpot slot from Novomatic in which you have several chances to multiply your stake with every spin of the reels. All you need to do is line up as many matching symbols as possible on the five reels. With up to 40 win lines and the help of the effervescent entertainer, that should be no problem at all! 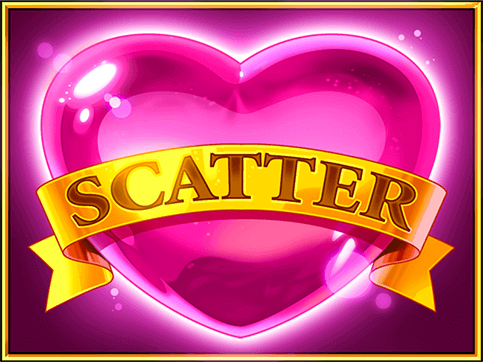 If the Heart (the Scatter) appears three times on the reels, you’ll win 15 Free Games. During these Free Games, the portrait of the Lady Jester can appear, covering all of the positions of a reel. If her symbol pops up on every reel in a single spin, you’ll land the jackpot. The symbol is also the Wild symbol in Lady Jester™, meaning it can substitute for all other symbols except for the Scatter to significantly increase your chances of landing winning combos. Lady Jester™ – the maximum jackpot possible! Lady Jester™ not only offers you a whole host of chances to bag big wins, but it’s also a feast for the eyes. We’ve updated the hit Novomatic title with improved graphics, better sound effects and an even greater win ratio. With a RTP (return to player rate) of over 96%, the happy heroine of this game can stand alongside the slot greats, and it has stunning visuals to boot. Lady Jester™ quickly gained a cult following thanks in part to its Free Games; you can trigger 15 of them at once, providing the Scatter appears three times on the reels. Moreover, you have the chance to hit the progressive jackpot. Fill the reels with the portrait of this slot’s star and it’ll be yours. If she flashes you a smile from one of the reels, simply hold your nerve and get spinning again. Every stake that doesn’t lead to a win heads straight into the jackpot kitty, which we monitor very closely. You’ll only win the full jackpot if you pack the reels with the Lady Jester’s portrait while playing with the maximum stake possible. If you play with lower stakes, a corresponding share of the jackpot will be paid out. The winning symbols in Lady Jester™ will be familiar to fans of classic Vegas slots. Cherries, Lemons and Plums make up the first group. Get five matching symbols along one of up to 40 win lines and you’ll double your stake. The green BAR symbols are even more generous, delivering five times your stake in winnings. And the shiny 7s line your pockets with winnings 50% higher than the previous group. Things begin to get really interesting once the Lady Jester shows her face, for five of her portraits along an active win line immediately win you 50 times your stake for your account. The portraits also act as Wild symbols, meaning they can help you complete other winning combos. The pink Heart is the Scatter in Lady Jester™. If three or more appear on the reels, you’ll receive no fewer than 15 Free Games. Land five of them and your stake will be multiplied by a whopping 300! If you’re the kind of gamer who likes to go all in, the game feature is right up your street. In every round that you land a win, you can click on this feature below the reels to launch a mini game. In this gamble you have a 50:50 chance of winning. If you do win, you’ll double the winnings from that round. If you don’t, the winnings are lost. At Slotpark you can play hits like Lady Jester™ directly in your browser. With state-of-the-art gaming technology, return to player rates that have been certified by third parties, and sensational winnings, our casino games are perfect for casual and seasoned gamers alike. Plus, you can enjoy your favourite slots whenever you want and wherever you are. 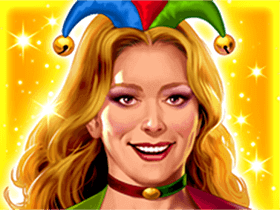 No matter whether you play on an Android device or an iPhone, the next Lady Jester™ jackpot could be yours!